Going online as a USANA Associate and promoting your business using social media opens up the possibility of creating your own unique personal business. Since being a USANA Associate is all about network marketing, and social media is all about building your network, we're putting together a series of blogs on using social media for your USANA business. The web used to be all about information. If you wanted to learn about the Treaty of Waitangi, or where to find a certain product, you could look it up and find a webpage with all the information you needed. But now, we don't just use the web to find information, we use it to interact. Now, we might find a Treaty expert on Twitter and ask them what we want to know, and when we're finished, we might write a blog or upload a YouTube video about what we've learned. We don't just buy a product from a company, we then tell all our friends about it, post a video of us using it, and connect with other people who've brought the same product and share our experiences. This is the world of social media, and it's awesome. 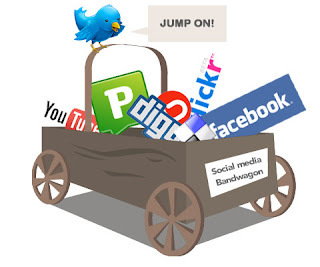 Social Media has changed the way people discover, learn, share and evaluate news, information and products. And social media can help you spread the word about USANA products and business and help you to build up your USANA team. Using social media such as blogs, discussion forums, video and photo sharing, chat and social networks like Facebook and Twitter, you can create a network of people who are keen to interact with you. They comment on your blog posts, re-tweet your Twitter updates, and "like" your Facebook status. They tell people in their networks about you, and your network grows bigger and bigger. Now, you can easily contact a whole network of people interested in hearing about USANA products. You can use social media to attract new customers, strengthen relationships with existing customers, network with other Associates and invite them to attend an event. How will you do this? Well, keep reading the USANA blog and we'll give you heaps of tips for using social media to help with your USANA business. Editor’s Note: Though social networking is a fun and exciting environment, it is important to remember to stay compliant within USANA’s policies and procedures. Download ‘Social Media Dos and Don’ts’ here.